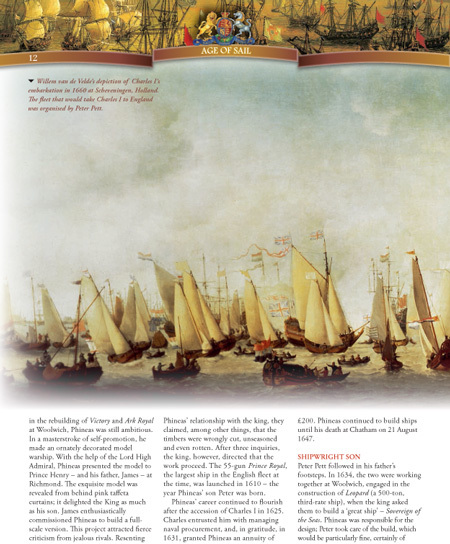 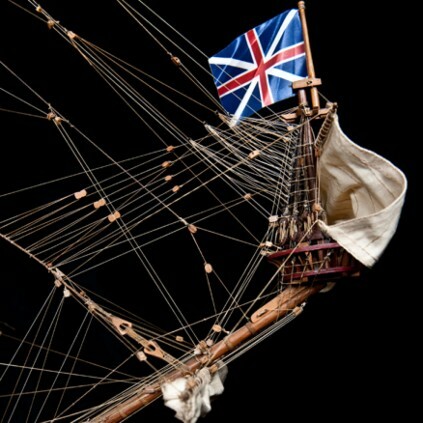 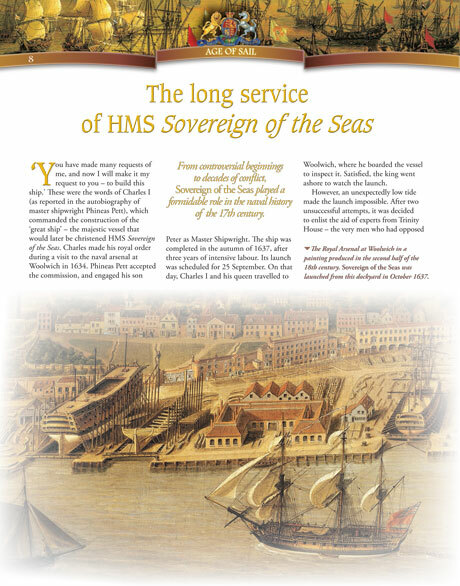 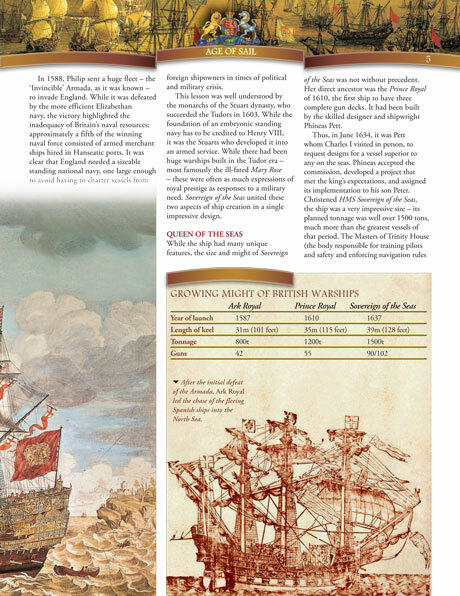 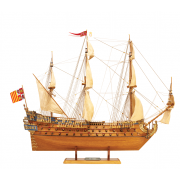 Build the Sovereign of the Seas - The masts, yards and flagpoles are easily fitted with rigging and other essentials. 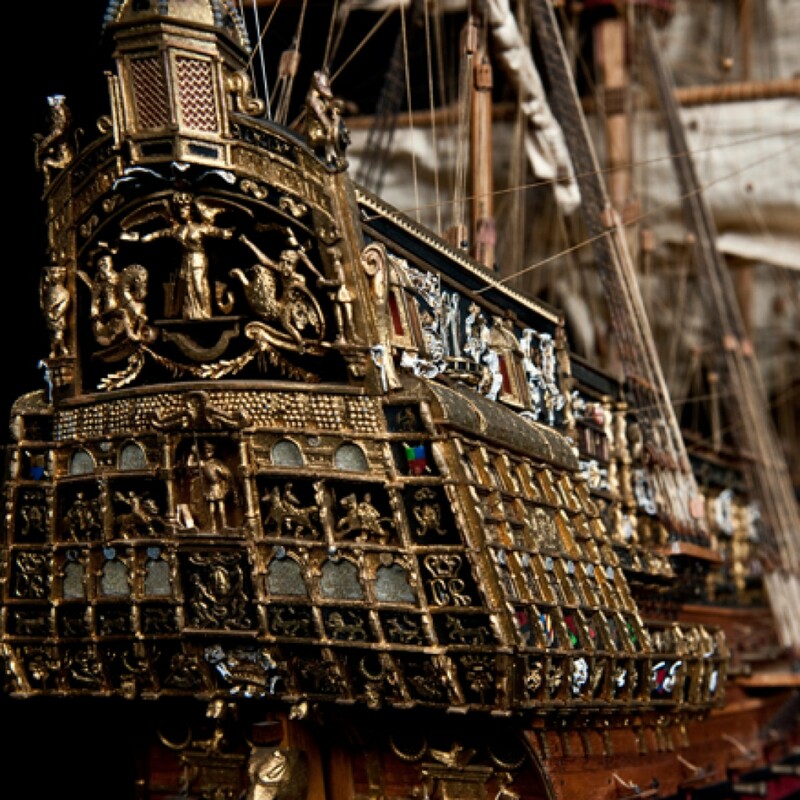 Build the Sovereign of the Seas - First ship in the world to be armed with more than 100 guns. 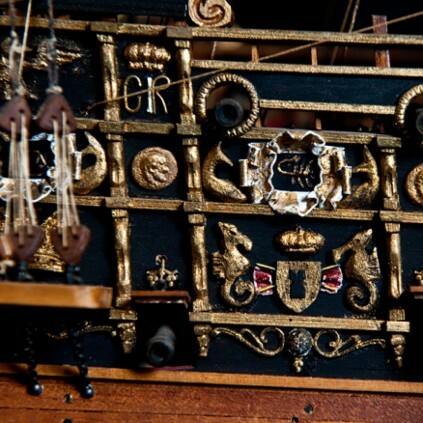 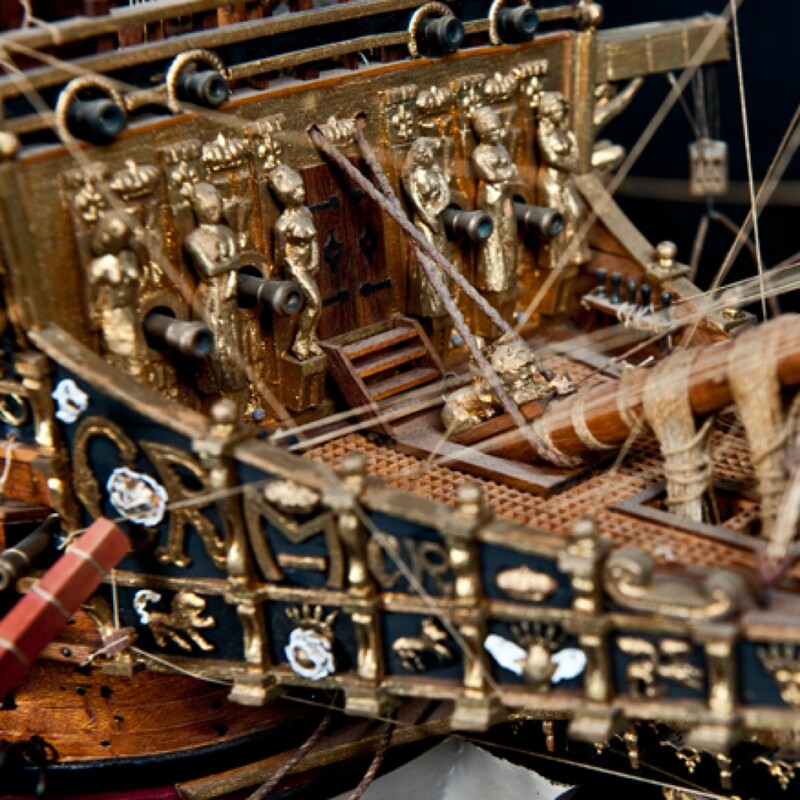 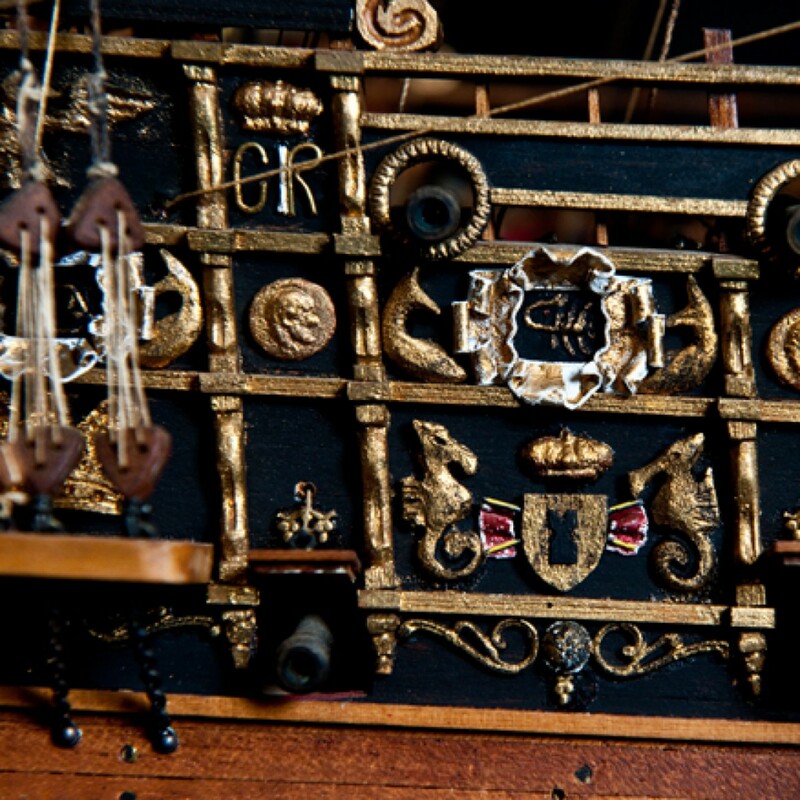 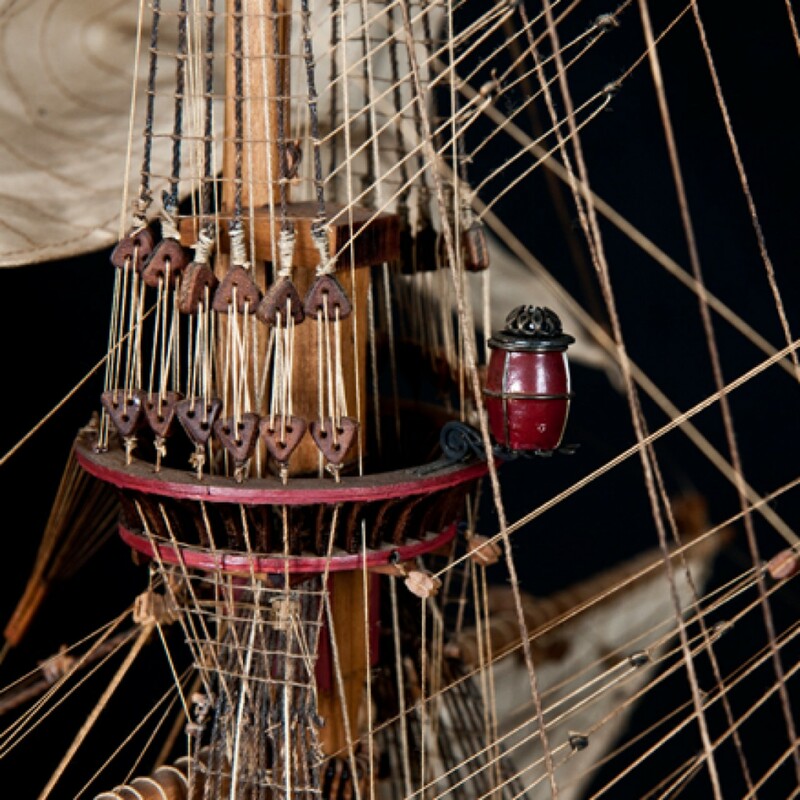 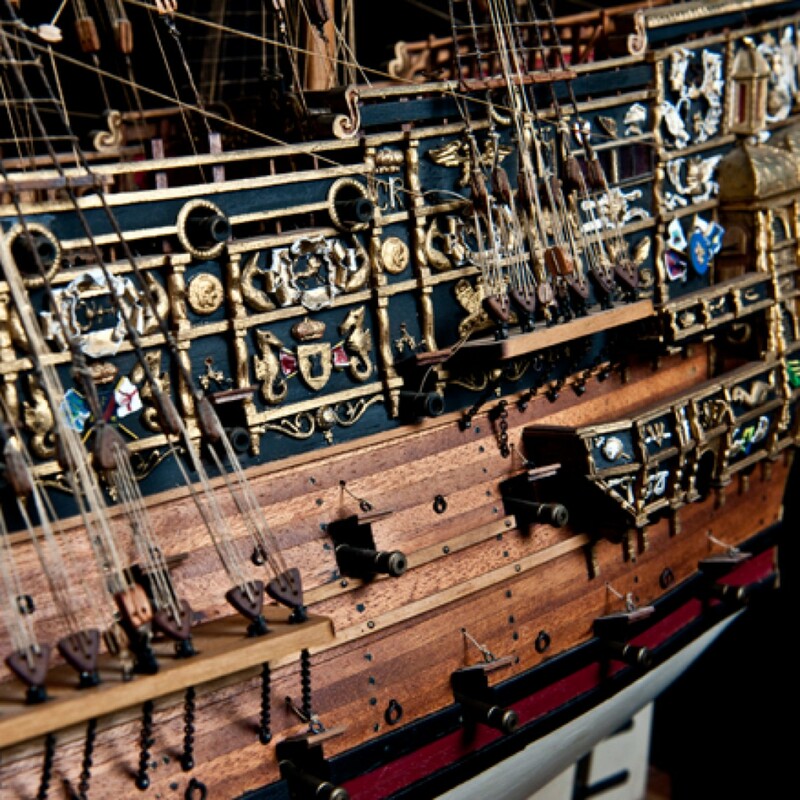 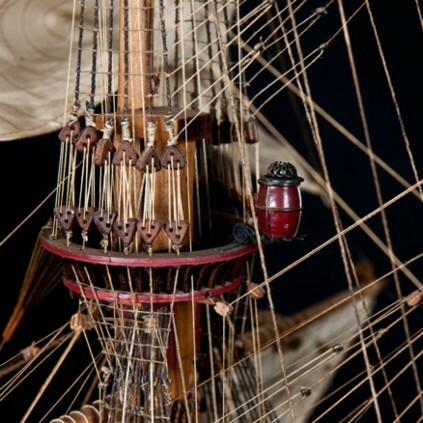 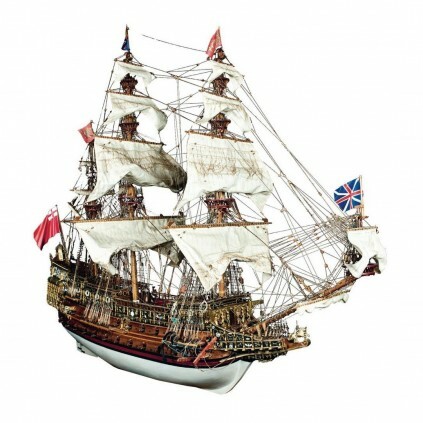 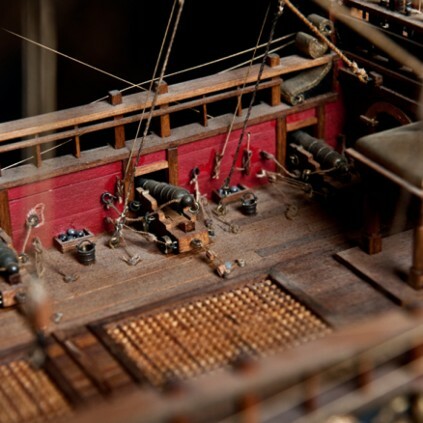 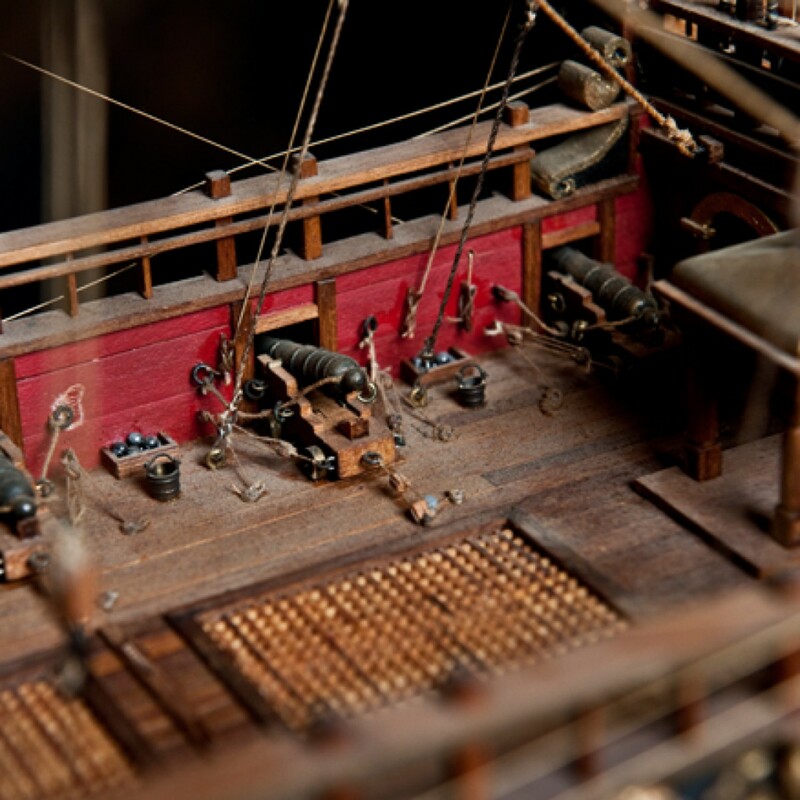 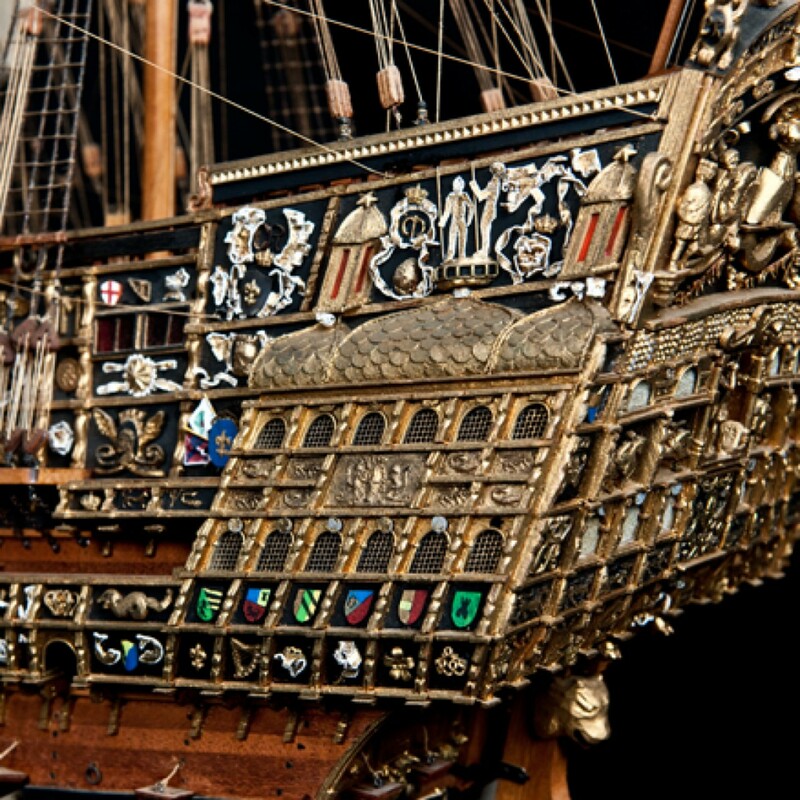 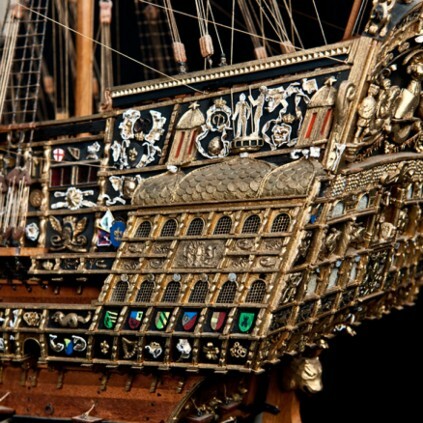 Discover the HMS Sovereign of the Seas in breathtaking detail with this stunning 1:84 scale model, complete with all the parts to build the most powerful warship of the 17th century. 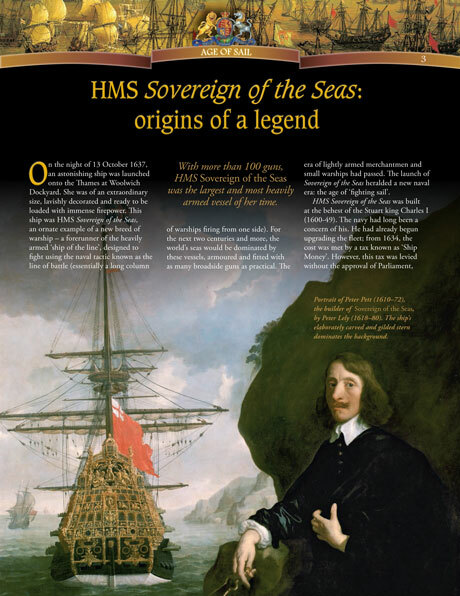 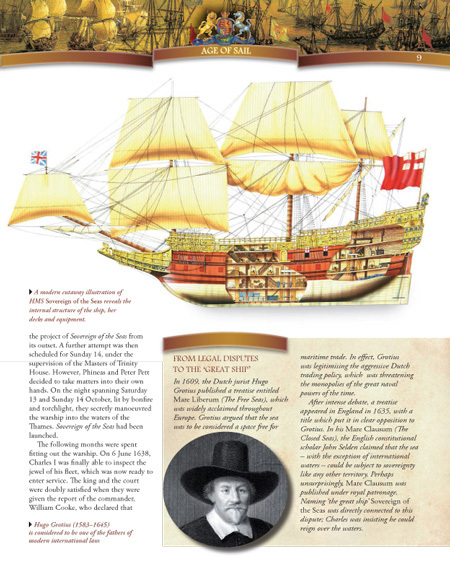 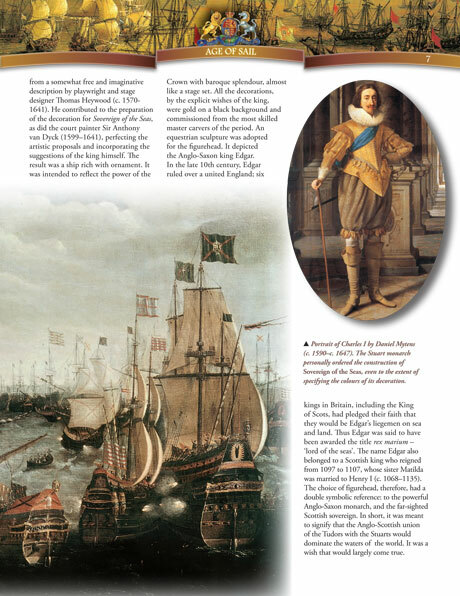 Launched in 1637, and also known as the infamous "Golden Devil", HMS Sovereign of the Seas was the largest vessel of her time. 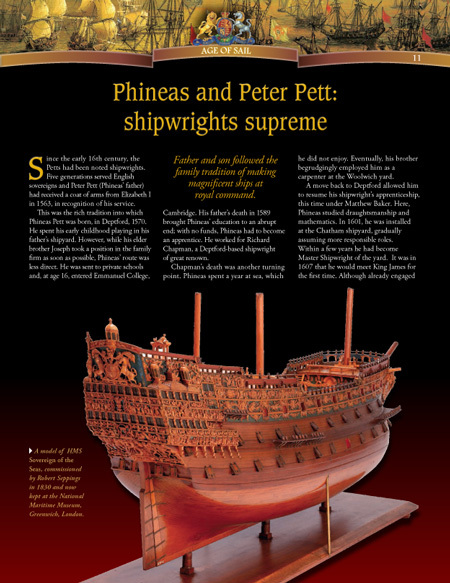 Issue by issue discover the history and techniques of ship building and ship modelling, and experience for yourself the pure pleasure of building such a magnificent ship. 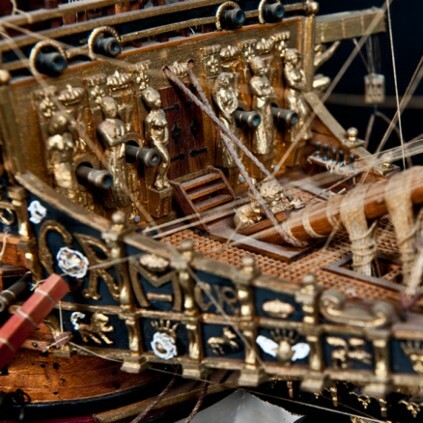 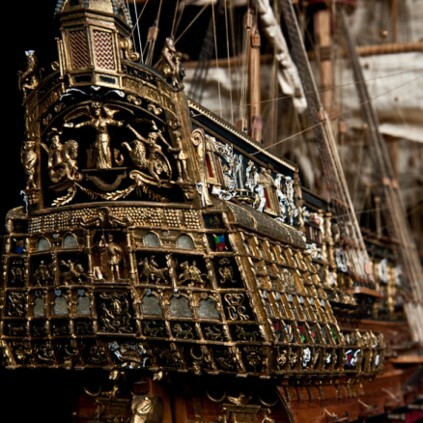 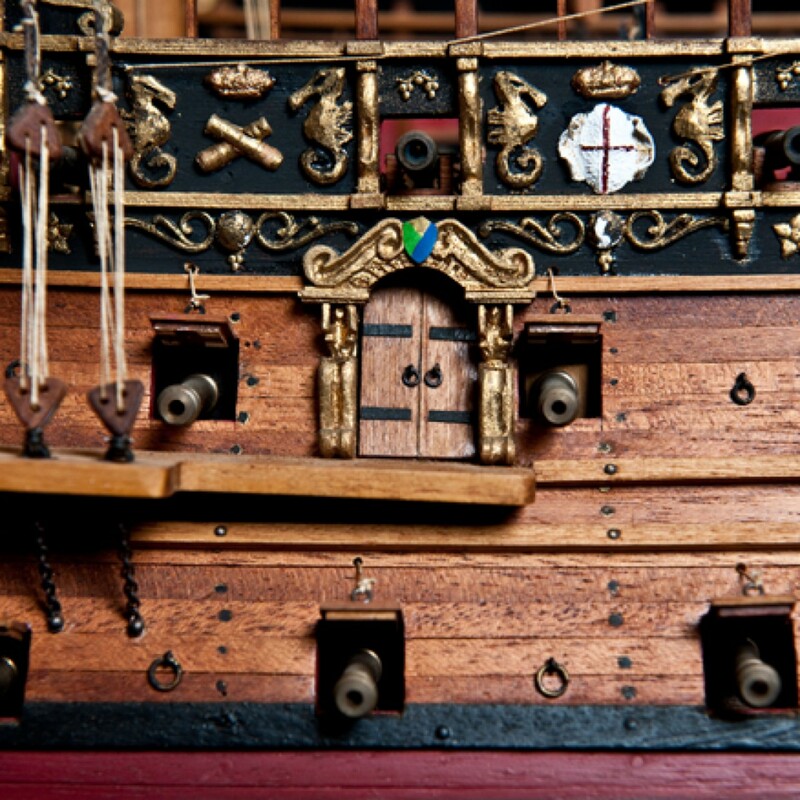 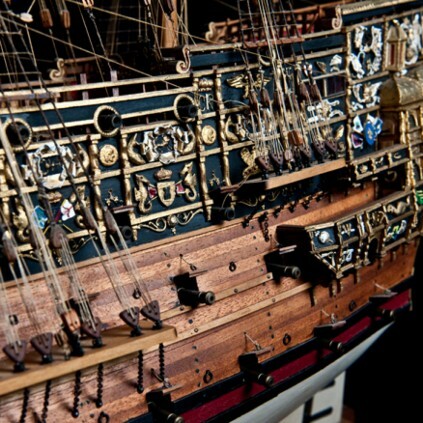 A 1:84 wooden scale model of the original vessel, this exquisite model details every feature of the original ship. 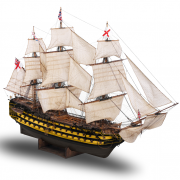 This comes with everything you need to build an incredible and unique model – to the highest standards. 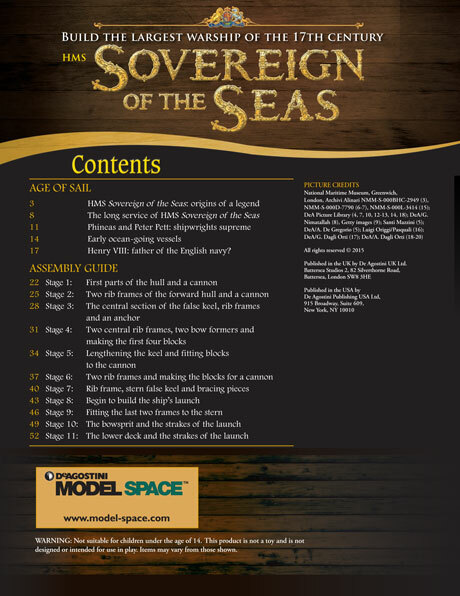 Each pack is accompanied by a magazine of detailed step-by-step assembly guides showing you how to build your model. 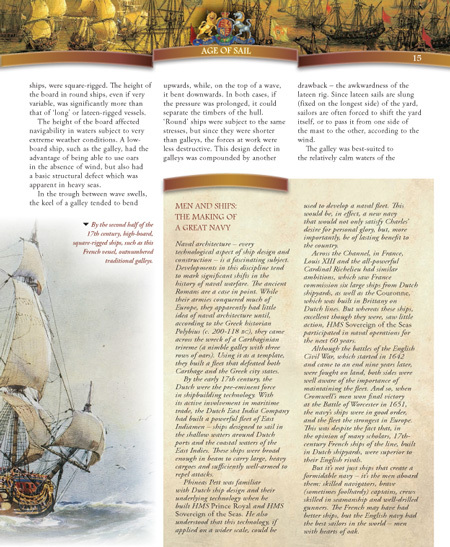 Along with the clearly photographed instructions, the magazines will explain all the modelling techniques you’ll need to achieve superb results, and include useful hints and tips to help you master the trickier skills involved. 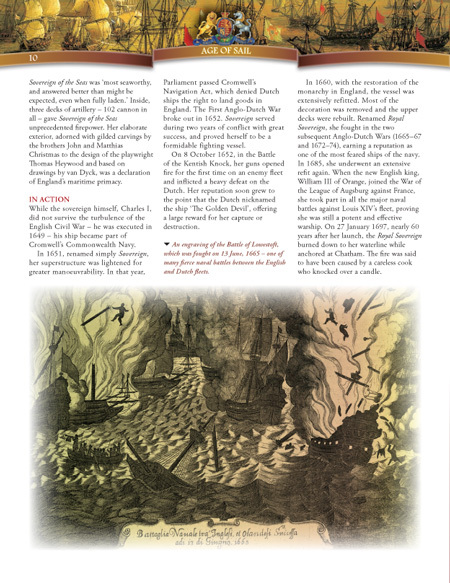 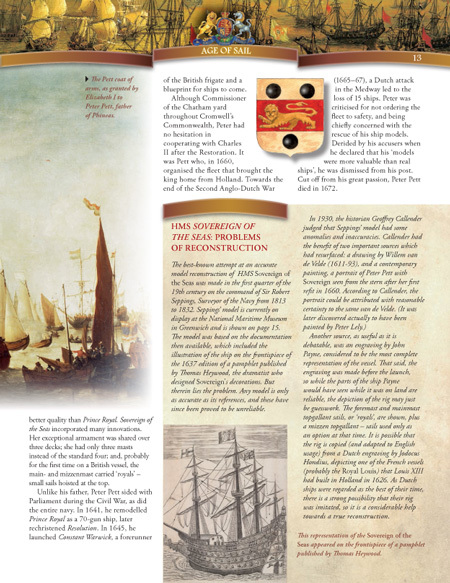 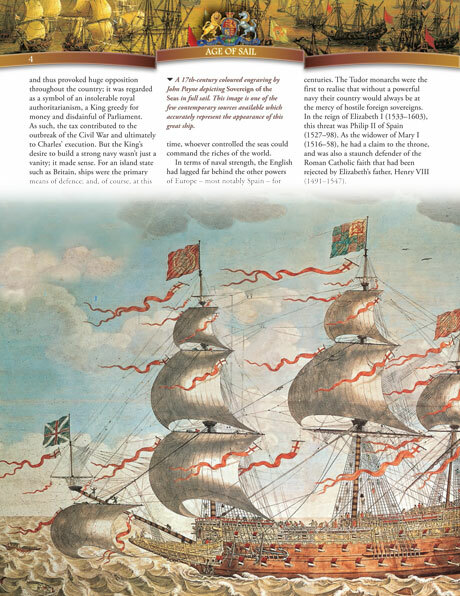 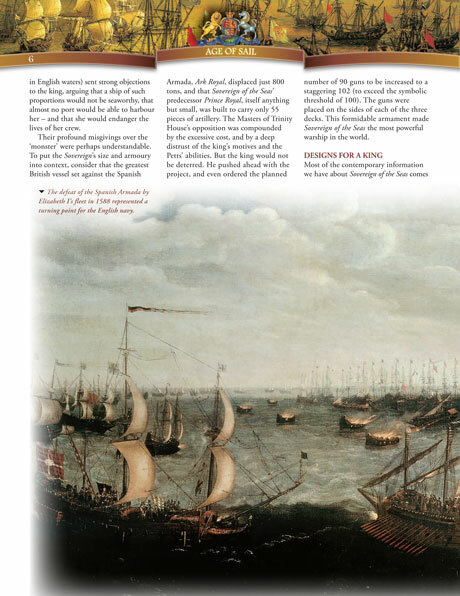 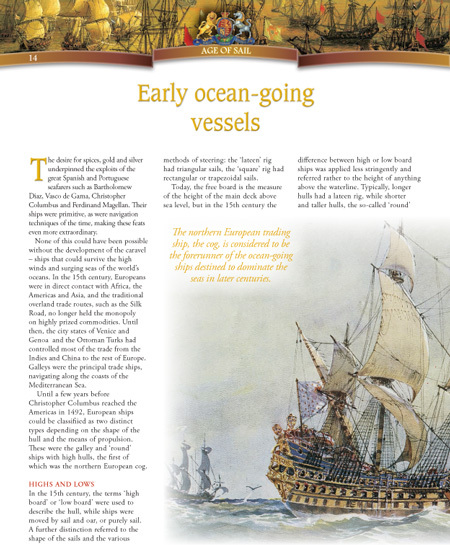 You will also read fascinating insight into the Age of Sail, understanding the evolution of the warship and the birth of the modern fighting navy: a gripping story of great battles and technological innovations. 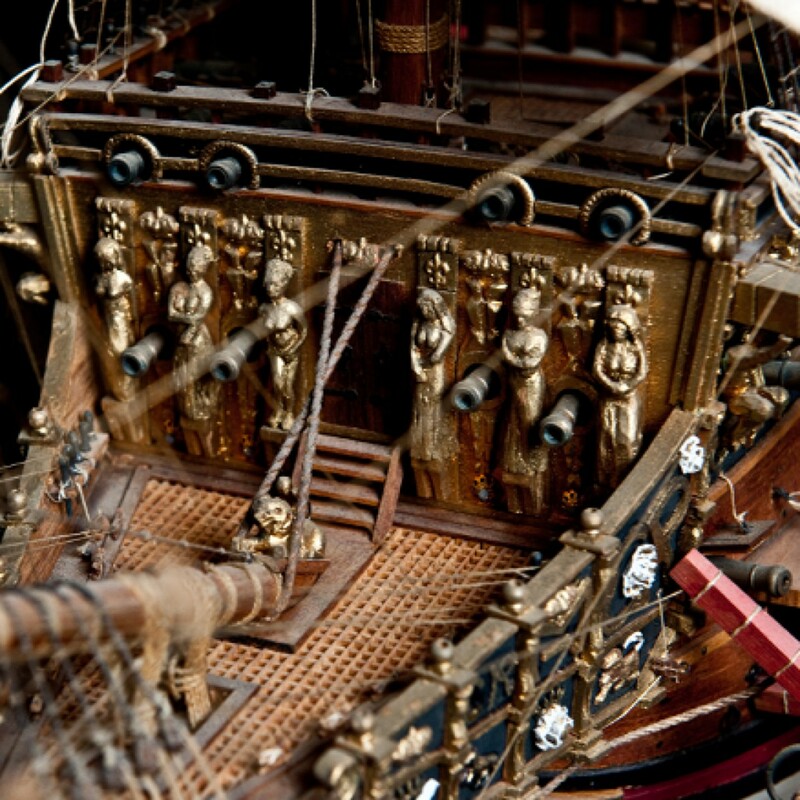 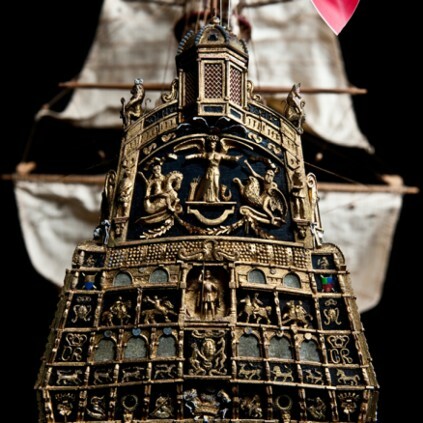 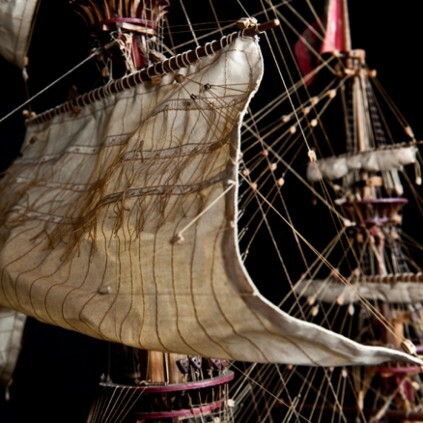 The breathtaking 1:84-scale model is accurate to the last detail, including sails and rigging, cast metal decorations plus the anchors and cannons. 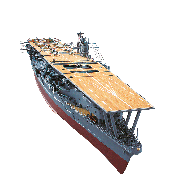 This is my first wooden model. 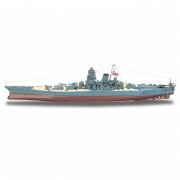 It is a very detailed model and the instructions are for the most clear. 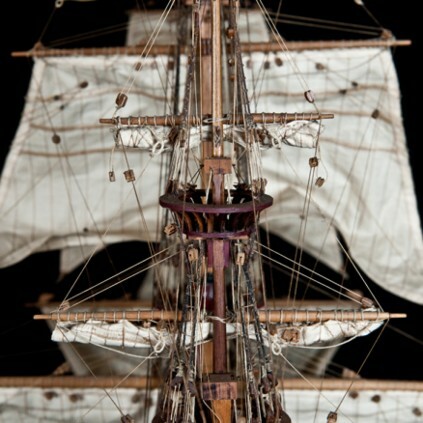 The only thing I found that I didn't like was the order pieces where shipped. 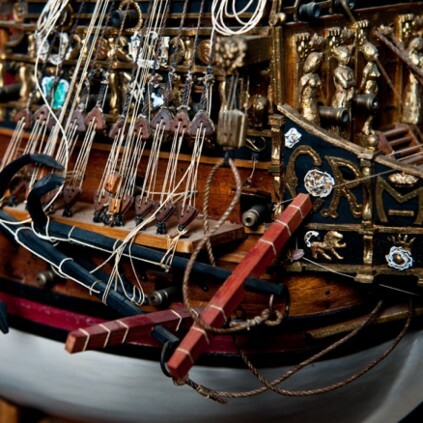 You get parts in bag 20 that you don't use until section 83. 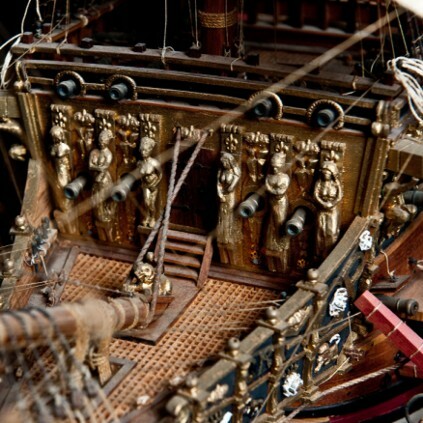 This happens often so make sure you keep track of unused parts. 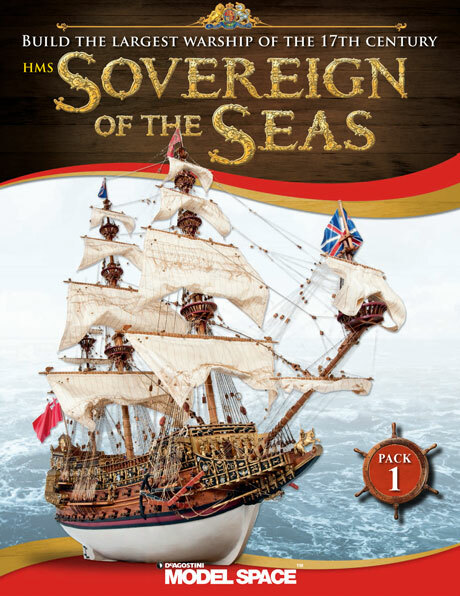 This is a very detailed kit of the Sovereign of the Seas.The parts are very well made,especially the cast metal parts and the instructions are fantastic.For those that have never built a ship model before the step by step illustrated instructions ensure a trouble free build and experienced ship modelers will appreciate the attention to detail and accuracy of this model.It is a stunning display piece once finished.